When I was a kid growing up, I used to watch The Flying Nun on television. Do you remember that show? It aired on the ABC network from 1967-1970. Sally Field starred as a novice nun who could “fly” as a result of her small stature and the rather large headgear for her habit. 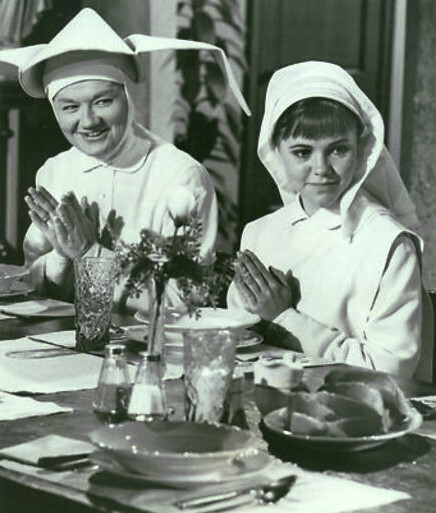 It was a sitcom and Sally Field who starred as Sister Bertrille got into all sorts of zany, comical situations along with her fellow sisters who all lived together in a convent in Puerto Rico. As a pre-teen/teenager back in those days it was a favorite show of mine. The nuns portrayed on that show were friendly, happy (mostly), devoted, kind, and always had a sense of humor. They were so very different from the nuns at our local Catholic church who were always stern, never smiled, kept to themselves, and by their presence alone struck fear in the hearts and minds of every child who attended grade school or catechism classes. I knew that The Flying Nun show was not an honest depiction of convent life but I never understood why the nuns at our local church could not be a little more like the nuns on the show. I remember wondering if real nuns were trained to be “mean” (stern, non-smiling) or if the religious order only selected “mean” girls to become nuns. Such were the thoughts of my young and impressionable self. Over the years, the Catholic church seems to have softened it’s rules on how nuns must behave because those I run across these days are for the most part closer to the nuns portrayed on The Flying Nun than the stern, reserved nuns I remember from my childhood. I’ve yet to come across any who can fly though. Three years ago, I contacted some second cousins who I’d recently learned of. These cousins were related to me through their mother. They were kind enough to share with me their family photos and some stories about their family members. One photograph in their collection really stood out for me. It was a photo of these two very young, fresh-faced, beautiful women in nuns habits. These women, I was told, were their first cousins on their father’s side of the family. They were sisters of the Dominican Order and trained at the motherhouse in Adrian, Michigan. Fast forward to August of this year. I’m reading a local newspaper and I come across an article about a local author, from Watervliet, Michigan who has just had her first book published. The book is titled, The Red Skirt: Memoirs of an Ex Nun. It turns out, the author, Patricia O’Donnell-Gibson, was once a member of the sisterhood of the Dominican Order trained at the motherhouse in Adrian, Michigan… in the 1960s no less! That makes her a contemporary of the angelic nuns in the picture above. 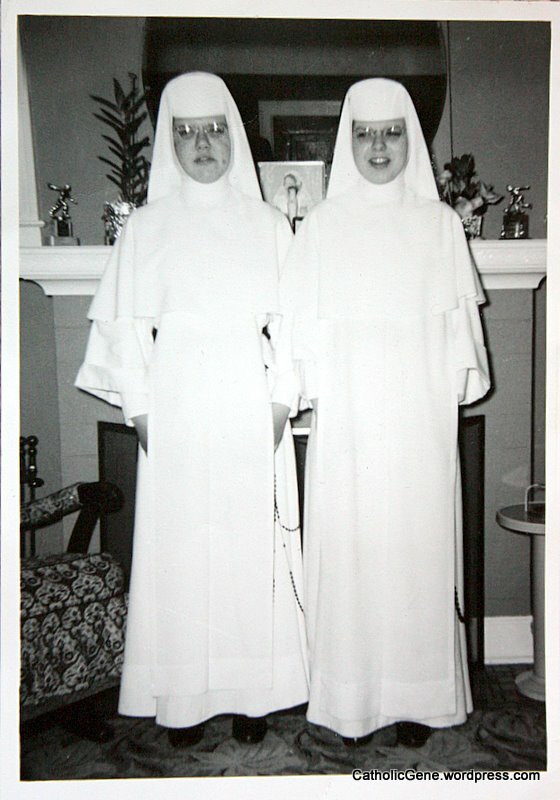 While reading the article I immediately thought of that photo of the nuns, the first cousins of my second cousins. Wow, I thought, this book might give me some insight into their experience becoming nuns and choosing the Dominican Order. How cool is that? I had to read this book. The only question was, paper or ebook? I opted for ebook and purchased the book the very next day. Patricia O’Donnell-Gibson’s memoirs start when she was a child growing up in a devote Catholic family living in Dearborn Heights, Michigan. Now here’s another connection for me. I grew up in Dearborn, Michigan, the city right next door to Dearborn Heights. I was immediately familiar with the neighborhoods, churches, and the seminary she refers to her in book. While they were not exactly my old stomping grounds they might as well have been. The story takes us through her grade school and high school years setting us up for her entry into the Dominican Order. 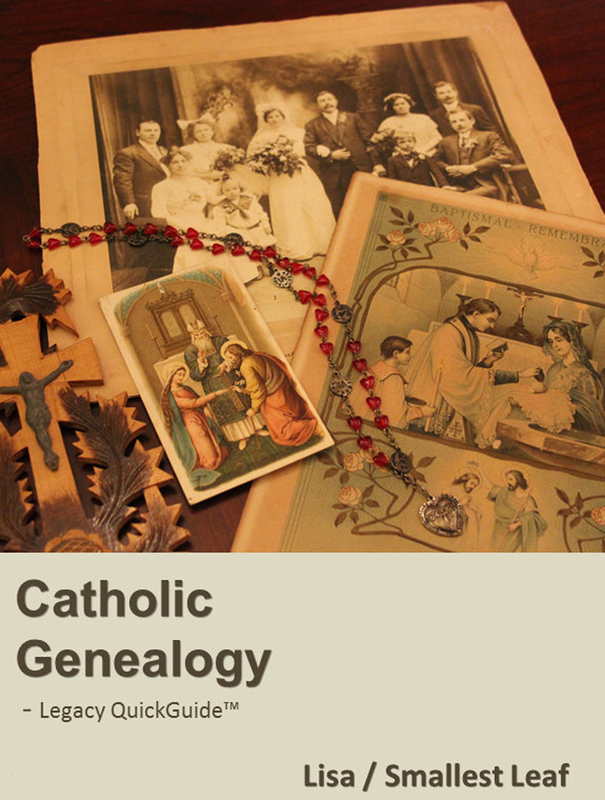 While it doesn’t explain why the nuns on my family tree chose a religious life it does explain why she did. And her experience growing up in a strict Catholic family may have been quite similar to theirs. While I too grew up in a Catholic family, they weren’t as devout in keeping with the Catholic faith as the O’Donnell family. Patricia entered the Dominican Order almost immediately after high school graduation. Her memoirs take us along as she enters the motherhouse, sheds her street clothes for her postulant habit and sheds her life as she knew it for a life unknown. I like that she shares not just what was happening to her along the way but what she was thinking and feeling as it was happening, including her fears and doubts. From there she tells of life as a postulate and as a novice with many poignant moments, some scary times, and a few comedic moments too. If like me you’ve ever wondered if nuns were trained to be “mean” or if they were chosen for characteristics befitting a stern, sober religious figure, you’ll get your answer in this book. After Patricia finishes her novitiate year and becomes a professed sister she transitions back into a world you and I would recognize. She takes an assignment as a teacher, the position most Dominicans are trained for. After her coming of age story, touching on end-of-life issues, and many examinations of faith, Patricia’s story becomes less somber and much happier. Her decision to leave the religious life makes sense in the end and the final scene will have you grinning many times over. I highly recommend this book. It’s easy reading for such a serious and somber topic. If you’ve ever wondered about the secret life of nuns… what they think of during prayer service, what they do for recreation, or what they wear under those habits, this is the book for you. After reading it myself, I now have some idea of what the nuns on my family tree went through in choosing the religious life. And now that I have some insight, I’ll never look at nuns the same way again. 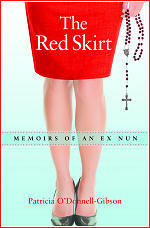 The Red Skirt Memoirs of an Ex Nun by Patricia O’Donnell-Gibson. StuartRose Publishing, LLC. C. 2011. Softcover 978-0-9836112-0-2; e Edition 978-0-9836112-1-9. Thanks for the review, I’m going to download it now to my Kindle. My aunt was a nun, through the 60’s and 70’s so I’m very curious about this life, she rarely speaks of it. My grandmother often asked me if I wanted to be a nun, of course my knowledge of them was pleasant either. I look forward to reading this book. Great review, Jasia. It’s on the wish list. Thanks. I’m more than a little smitten with a group of in-law nuns. An earlier crowd, but so interesting. I know these Adrian Dominican sisters. They are biological sisters, and they are nice. The two Adrian Dominican Sisters in the photo above are Sister Lorraine Mordenski (religious name: Sister Gabriella) and her sister, Annise. (I don’t recal whether or not Annise had a different religious name). Sadly, Sister Lorraine died several years ago. A great loss to all of us who knew her.